Greece has now become the principal cruising area for sailing vacations in Europe. Indeed, the concept of sailing vacation Greece is becoming more popular each year despite the equally beautiful sailing grounds of the Turquoise coast of Turkey directly to the east of the Aegean Sea. The Greek cruising grounds are divided into two main areas: the Ionian in the west of Greece and the larger Aegean sea in the east. When this will be your first sailing vacation in Greece the Ionian - especially out of Lefkas island - has a lot of advantages. The distances between the ports and anchorages are smaller than anywhere else in Greece. Moreover, this area is not affected by the Meltemi but by the gentle and reliable Maistro wind. Note, however, that in season (especially August) the Ionian islands serve as the perfect sailing vacation location for thousands and thousands. Needless to say that it can get a bit crowded in the ports. The second easy place for a sailing vacation in Greece is the Saronic gulf as well as the adjacent Argolic gulf, both in the vicinity of Athens. The more remote and tranquil areas where you can enjoy a superb sailing vacation in Greece are the Southern Cyclades, the Dodecanese and the Northern Sporades. The Northern Cyclades can suffer from too many tourists as well in August, primarily due to their closeness to Athens (indeed, many of these tourist will be the Athenians themselves!). Therefore, the sailing vacation Greece concept is best appreciated outside the main season, preferably in April, May and June and in the late season in the last weeks of September and October. In April and May also has a second advantage: the colourful flowers due to the spring rains in the previous months, this is especially true for the Cyclades which can be rather dry and barren in the main season. Downside could be the colder water temperatures in April and early May. If you love swimming and snorkelling the second or third week of May really should be the start of the season, not earlier. 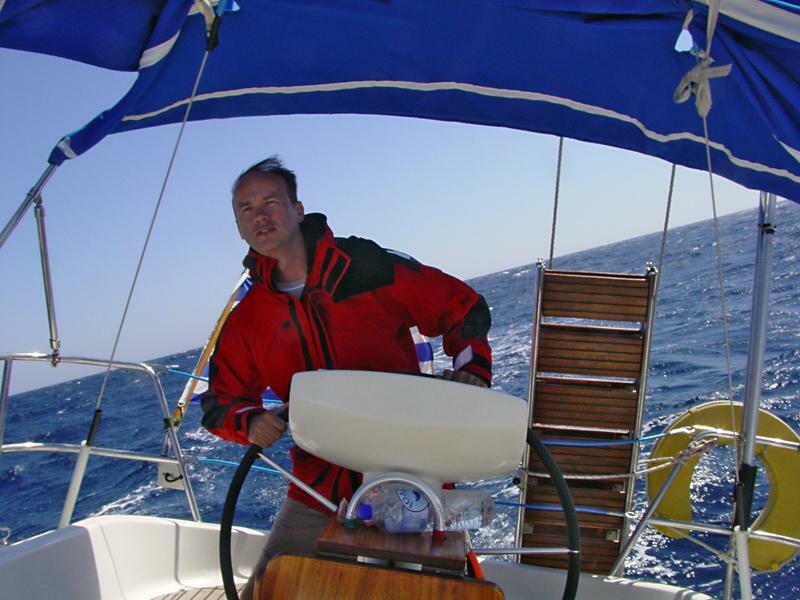 The pleasant water temperature is actually the main advantage of a sailing vacation in Greece in September and October, besides the lack of fellow sailors of course.